About: The endovascular treatment of critical limb ischemia (CLI) and diabetic foot has become an important and promising approach for revascularization of femoral, tibial and foot arteries, improving clinical outcomes and supporting limb salvage. The endovascular therapy for CLI is growing and evolving in terms of therapeutic indications, allowing us to improve our clinical daily practice in diabetic foot treatment and limb salvage. This therapy is in continuing evolution, and directly related to new technical strategies and devices development. Learning and reviewing the basis, tips & tricks and mastering the techniques and therapeutic indications are essential to manage complex cases of diabetic CLI patients. Actually, most of endovascular specialists are interested in learning and treating this complex condition. Our main objective is to gather regional and international experts with our audience, to interact and share together, in a very friendly atmosphere. Based on a live-cases model, these courses on a step-by-step approach for each live procedure, supported by didactic discussions about decision making, technical strategies and therapies. The entire endovascular community dedicated to CLI will find in these courses the opportunity to fill the current gaps in the treatment of patients with Critical Limb Ischemia. About: Today the Transcatheter Aortic Valve Implatation (TAVI) is the most practiced intervention, but the endovascular mitral valve repair and percutaneous treatment of thoracic aorta diseases are also starting to become regular procedures in our cathlabs. More and more interventional cardiologists and cardiac surgeons are willing to get trained for these procedures in order to develop programs for treatment of structural heart diseases in their cathlab. We conceived this event to support their initiatives, from beginner to more experimented operator. Our main objective in creating this Congress, is to provide a tailor-made support from procedure’s first steps to daily practice and management of complications, and allow our audience to strengthen their skills and continue their progress, to improve our patients’ outcome. 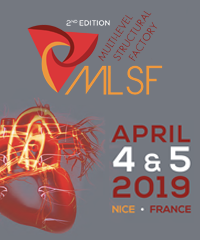 Based on a live-cases model, our congress will approach each live procedure in a step-by-step vision, supported by case-in-box presentations and interactive discussions about decision making & technical strategies, focusing on valve prosthesis’ selection. About: We would like to invite you to The 11th Congress of The Vascular Access Society. The congress aims to organize a lively, interactive and high-quality conference that will bring together the international community of clinicians, vascular technologists, nurses and researchers, devoting to the important issue of vascular access for hemodialysis. The scientific program will provide a three-day meeting with state-of-the-arts lectures about new developments in clinical practice, basic research as well as the latest results from clinical trials. Furthermore, controversial topics will be discussed in pro-con debates and parallel sessions specifically for dialysis nurses will be organized as well. In addition, we will organize an interesting social program that allows you to experience the diversity of Rotterdam, renowned as a thriving, easy accessible cosmopolitan city, full of energy and innovation. We are looking forward welcoming you to Rotterdam! About: Learning or reviewing the basics, tips & tricks, and mastering CTO techniques is essential to manage complex coronary patients. More and more interventional cardiologists are eager to learn and develop CTO PCI programs in their cathlabs. 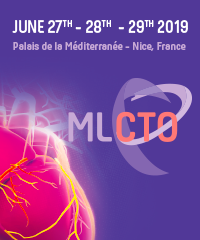 We conceived this event to support their initiatives, and following the success our first, second and third Edition, we are glad to invite you to the ML CTO 2019. About: Heart in Diabetes (HiD), now in its 3rd year, is a unique medical conference bringing together world renowned clinical leaders in diabetes and cardiovascular disease. The program is designed to evaluate the state-of-the-art clinical data and research, while focusing on the management of the heart and kidney in diabetes. The goal is to align cardiologists, endocrinologists, diabetologists, iridologists and nephrologists in their understanding and development of appropriate comprehensive clinical management plans for very high risk patients. About: World-renowned specialists from across the vascular intervention and medicine spectrum have converged in Las Vegas to make VIVA the must-attend educational event for the dedicated vascular specialist! At the forefront of interactive, multidisciplinary education, VIVA offers attendees an innovative, provocative, and balanced educational experience. About: The World Congress on Insulin Resistance, Diabetes & Cardiovascular Disease (WCIRDC), now in its 17th year, is a unique and exciting multidisciplinary program. The congress is the premiere global meeting dedicated to diabetes, obesity, lipids, cardiovascular disease and energy balance. The program is designed to evaluate the existing clinical and basic science, understand pathophysiology, and develop appropriate comprehensive clinical management plans. The congress' intimate setting promotes a lot of personal contact between participants and the faculty wherein everyone learns from the free flow of questions and personal observations. 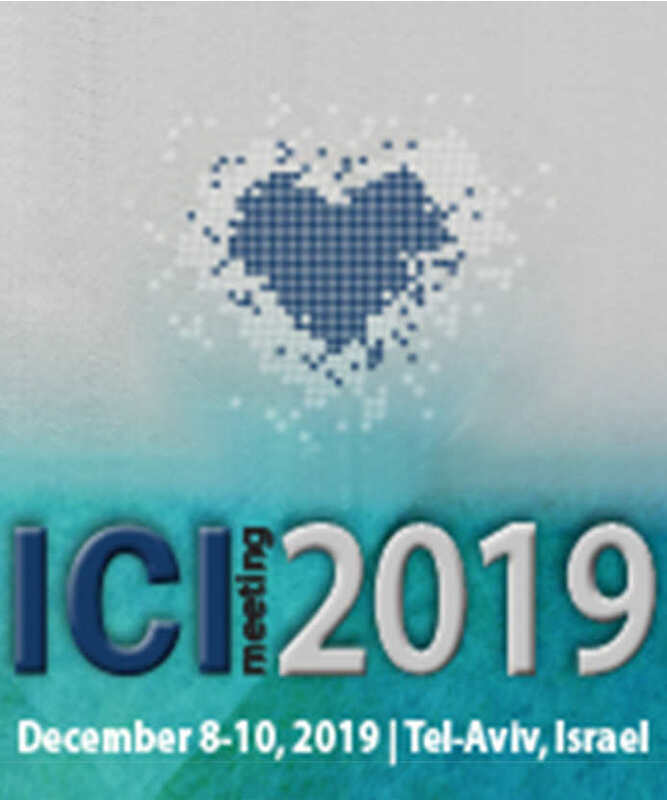 About: The ICI Meeting is an acclaimed forum which aims to explore fuel, spark and be involved in the innovations that will shape the future of our cardiovascular systems and BEYOND. Over the last 2 decades, Israel has become a medical "start-up nation" . ICI' s dynamic environment which allows rich exchanges on innovations has contributed to this process by facilitating global interaction between physicians, entrepreneurs, academia and industry and by building bridges leading to innovation. The ICI meeting is preceded by the ICI Academy of Innovation Day – a full-day pre-conference educational workshop satellite, which trains participants in the entire medical innovation process, and by the Digital Health Day – a full-day pre-conference educational day, that will bring together medical professionals, international and local experts and innovative companies in the field of digital medicine. We then continue to a 2-day conference focusing on advanced technologies to save hearts and lives. We challenge the horizons in coronary interventions, vascular interventions, transcatheter valvular therapies, stroke prevention/intervention, electrophysiology, cell therapy and heart failure. The popular "Technology Parade" offers biomedical technology start-ups from around the world the opportunity to present their latest developments. The unique "Wall-to-Wall – East Meets West" sessions concentrate on China-Israeli cooperation in the field.